Nov. 7, 2018 — The long 2018 midterm election cycle drew to a close last night and, as predicted, split government will return to Capitol Hill. Republicans held the Senate and saw their majority grow as Democratic Sens. Heidi Heitkamp (ND), Joe Donnelly (IN), and Claire McCaskill (MO) fell to Republican challengers. Florida Gov. Rick Scott (R) likely will be forced into a recount to see if his just-under 40,000 vote advantage will be enough to unseat Sen. Bill Nelson (D). The Montana race is undecided as Sen. Jon Tester (D) is on the precipice of losing but the outstanding vote suggests he could survive by a very small margin. The razor-thin Arizona race is a must-hold for the GOP. 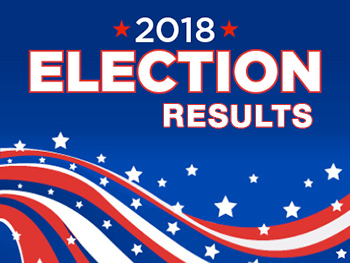 Democrat Jacky Rosen defeated Nevada Republican Sen. Dean Heller, and West Virginia’s Joe Manchin (D) fought back a tough challenge from Attorney General Patrick Morrisey (R). If all of these follow their current trends, Republicans will gain a net of four seats and increase their majority margin to 55-45. If Montana and Arizona go Democratic, the division would slip to 53R-47D. In any event, it appears likely that the Republicans will gain two to four seats. The new Senate will maintain their new majority split once the Nov. 27 run-off election is held and decided in Mississippi. In that new secondary election, appointed Sen. Cindy Hyde-Smith (R) will face former US Agriculture Secretary and ex-Mississippi congressman, Mike Espy (D). Sen. Hyde-Smith placed first in the Nov. 6 preliminary vote and ended with 41.5 percent of the vote, not close to secure the majority support that would have elected her outright and just ahead of Espy’s 40.6 percent. State Sen. Chris McDaniel (R-Ellisville) was third with 16.4 percent, likely denying Hyde-Smith the opportunity to win in the first round. He is eliminated from further competition. As predicted, the House did flip to the Democrats and leadership elections will soon be held to determine who will replace retiring House Speaker Paul Ryan (R-WI). It is perceived that California’s Nancy Pelosi will again become the speaker after serving from 2007-11 and losing the post when the Republicans secured the majority in the 2010 election. 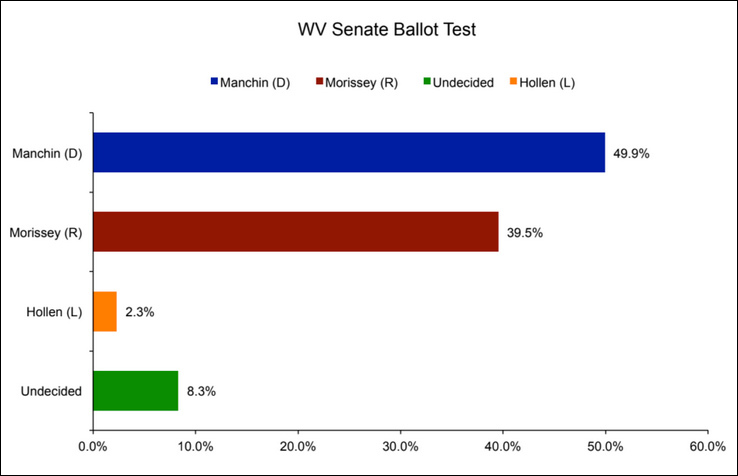 May 11, 2017 — Though West Virginia Sen. Joe Manchin (D) purports to be in strong political position for his impending 2018 re-election campaign, he is beginning to draw a cluster of Republican opponents. At the beginning of the week, two-term US Rep. Evan Jenkins (R-Huntington) declared his intention to run for the Senate and launched his effort with a video announcement that takes Sen. Manchin to task (see video above). 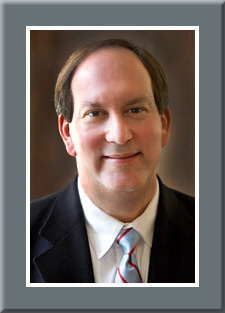 Next week, Rep. David McKinley (R-Wheeling) said he will announce his intentions with regard to the Senate race, though up until a few days ago he had not even been mentioned as a potential candidate. The congressman is still not expected to enter the race, however. On the other hand, it is a virtual certainty that two-term GOP Attorney General Patrick Morrisey will soon make official his budding US Senate candidacy.